I have probably passed by this place literally hundreds of times during my four years of residency on The Hill. Sometimes, I wrote it off as being sketchy. Others, I actually thought it was part of Tra Lings. And recently, I have been meaning to try it after creepily staring at happy diners during lunch time. I like to do my research before visiting a new spot, and everyone said to head to You and Mee for the Pho. On this snowy evening pre-Snowday, nothing sounded better. The menu was short and sweet. A few appetizers (think spring rolls of many varieties), a few noodle/stir fry dishes, and then various combinations of build-your-own pho. I ordered my pho with chicken broth, then loaded with tofu, mixed vegetables and noodles. 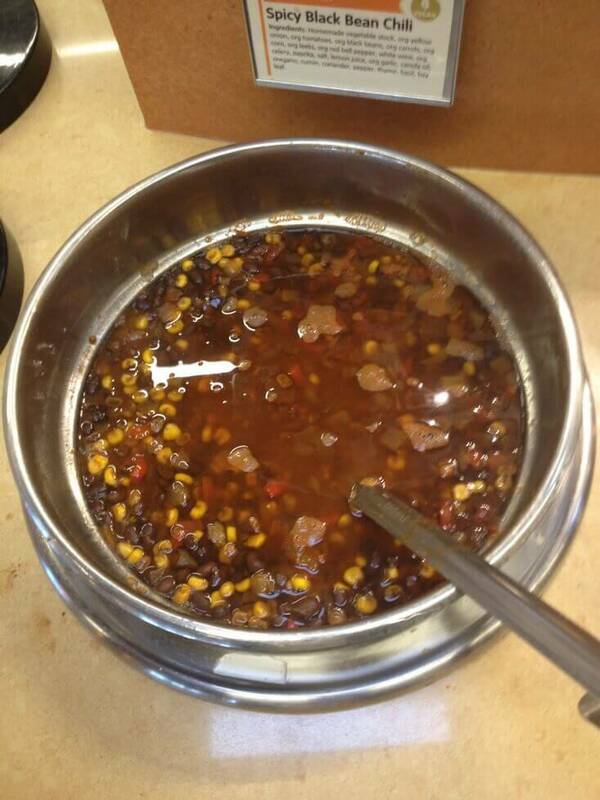 But what made my soup even better was the topping bar adjacent to the register, equipped with bean sprouts, cilantro, jalapenos, lime, chili sauce, brown sauce, soy sauce, siracha…you get the point. I’m not sure if it was all the condiments that made it so good or just the soup itself, but it was very tasty. For me, I like to add tons of lime and tons of spice to my pho, so I loved that Y&M allowed patrons to add flavor to their liking, and had all the condiments right there for their use. Though not the best pho I’ve ever had, it was pretty good. We also decided it was an absolute must to sample some dumplings (an apparent rather new addition to the limited menu). 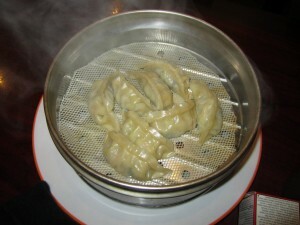 I was impressed by the variety of dumplings offered, all with the choice of either having them steamed or pan-fried. I felt like the push-over husband when my dieting friend insisted on having ours steamed. Nevertheless, they were simply delicious. Stuffed with veggies and tofu, they were flavorful (especially in the HOT chili sauce), cooked perfectly, and a great compliment to our soup. Though I cannot speak to the remainder of foreign items on the menu, the Pho and dumplings are reason enough for me to head back to You and Mee. On a cold night, nothing is better than some warm soup, and this one is worth the five minute walk. Perhaps the only Asian street food that exists in the area, Kims is likely known by most as “the hut on University.” Embarrassingly, I lived on The Hill for months before even realizing it was there. Yet despite being frequently overlooked, Kims Food To Go is a stop not to be missed by Asian food enthusiasts like myself. The menu at Kims ranges from typical Chinese dishes like Lo Mein and Fried Rice, to more traditional Vietnamese specialties like noodles, Vietnamese egg rolls, and Pho. In the past, my visits to Kims have been to cure my craving for some greasy noodles. 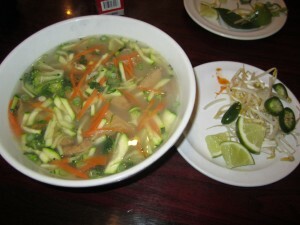 But today, I was in search of some good pho soup. And it was a success. Pho soup is one of the most well-known specialties from Vietnam, made up of beef or chicken broth filled with meat/tofu, veggies, rice noodles, and a variety of condiments such as jalapenos, cilantro, lime or brown sauce to name a few. 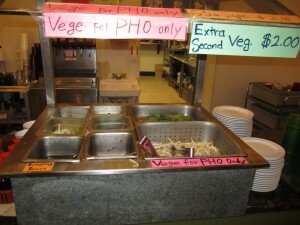 Because Kims is largely for take-out, they serve their Pho a little differently. 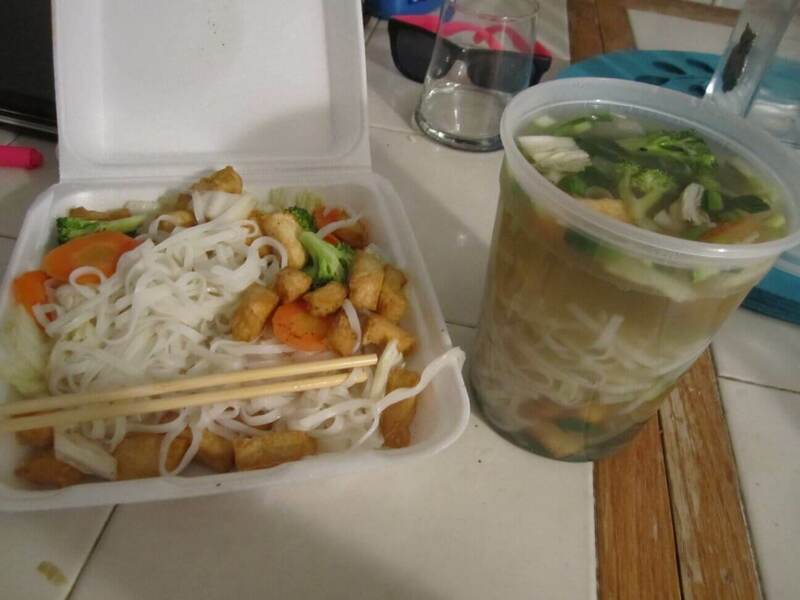 When I opened the bag when I got home, I found a jug of broth accompanied by a box filled with noodles, tofu, steamed mixed vegetables, japalenos, and containers of Siracha and brown sauce. Though initially surprised, I later decided that this was a great way to serve an otherwise intricately-assembled dish without sacrificing any of the add-ons (though I would have loved some cilantro and lime). Since anyone can really steam some noodles and veggies, what really makes Pho great is the broth. 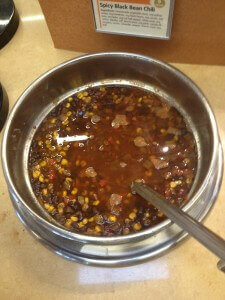 I found Kims’ soup to have immense flavor, especially after adding a generous portion of brown sauce and Siracha. 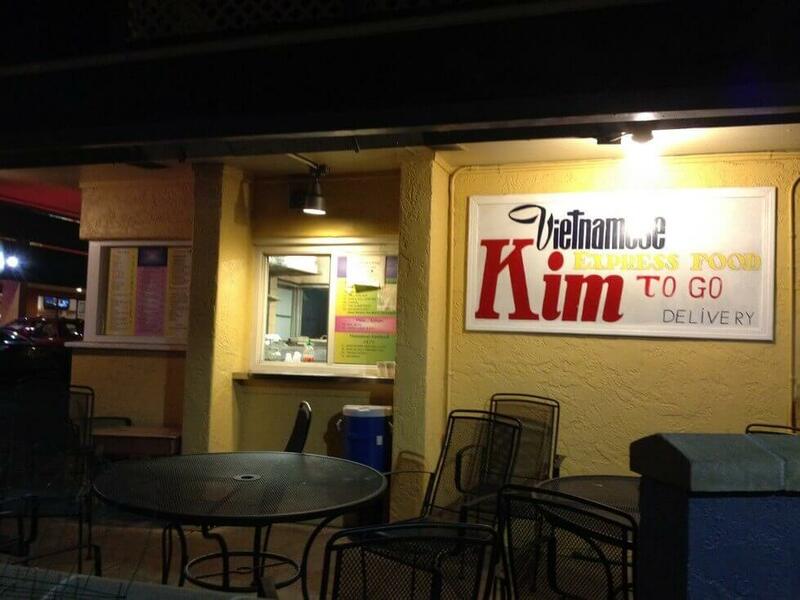 Overall, Kims Food To Go is a great quick and easy stop to cure a craving for basic Asian food. However, not all my previous experiences there lived up to the quality of the Pho. Why only three stars? Inconsistent quality, lack of seating (only two rickety outdoor tables) and lack of creativity. But in a shack on The Hill, I suppose beggars can’t be choosers. I would be willing to argue that Brasserie Ten Ten is stereotyped by the vast majority of the student and Boulderite population as a snobby, perhaps overpriced, fancy, French establishment. During happy hour, the only description I bought into was French. Otherwise, the laid back yet trendy vibe, diverse and delicious menu, all at stellar prices, makes for a very happy hour (or two). The happy hour menu boasts many of the best items from their regular dinner menu and a variety of cocktails at bargain prices. From olives, to oysters, to sliders, the menu is diverse enough without being overwhelming. The first thing that spoke to me was the mussels. Lucky for me, my fellow seafood-loving snackers agreed to share all three: Pistou, Basque, and A la Mariniere, from top to bottom. 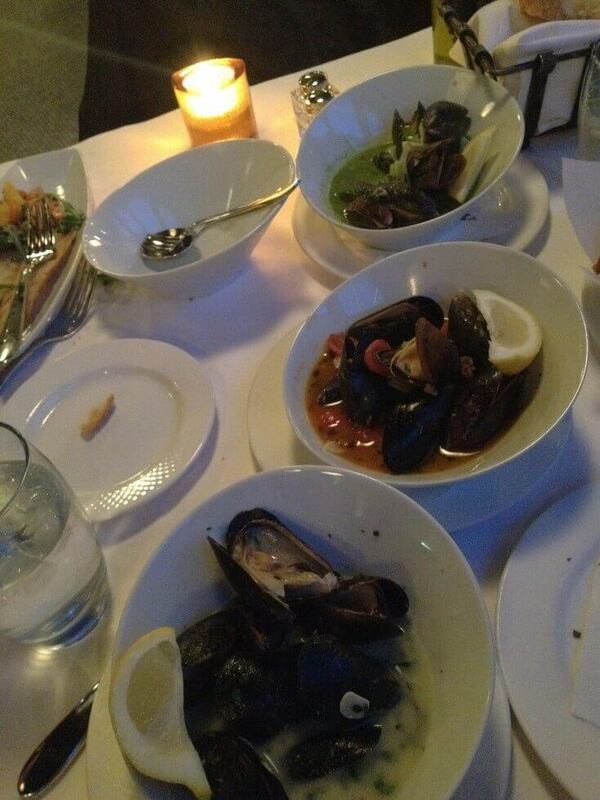 Typically, I have enjoyed mussels in some variation of a white wine and garlic sauce. Leave it to the French to create a more flavorful, but heavy, alternative. Of the three, my favorite was defintely the “A La Mariniere,” with cream, butter and herbs (no wonder they were so tasty), yet the pesto was a close second (possibly simply because there were huge chunks of garlic). I was impressed by the flavorful sauces, quality of the seafood, and offering of extra French bread to mop up the juice. 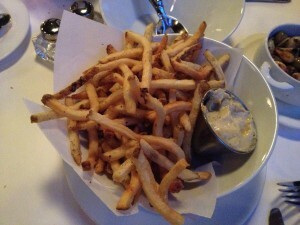 No surprise here that the fries were just as fabulous, largely in part thanks to the truffle aioli. You could throw truffle aioli on a Mcdonald’s burger and I’d probably be wowed. Yet these fries were thin but not flimsy, crispy and overflowing out of the bowl. Though I can’t remember the last time I ate bad French fries, luckily these spuds belong no where near that list. The olive tapenade could be the perfect salty snack for the observant diner with FOMO (Fear of Missing Out). Though obviously I could have eaten the dip with a spoon, the fluffy baguette was the perfect accompaniment to this fresh and flavorful olive spread. 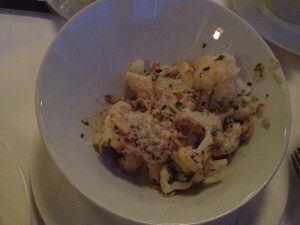 Cauliflower, as strange is it may be, is one dish that I can never pass up. When my handsome waiter suggested the Choux Fleur, milk roasted cauliflower with lemon-almond brown butter and shaved compte, my only thought was YUM. What an inventive spin on the crowd-pleasing roasted cauliflower! 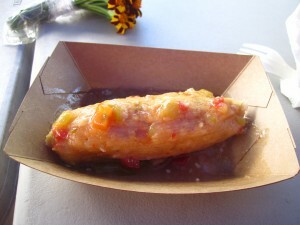 The lemon and almond flavors were infused into the vegetable, packing extra flavor into the perfectly-roasted florets. As many times as I have sampled some variation of roasted cauliflower, this dish was impressively innovative without sacrificing flavor for creativity. 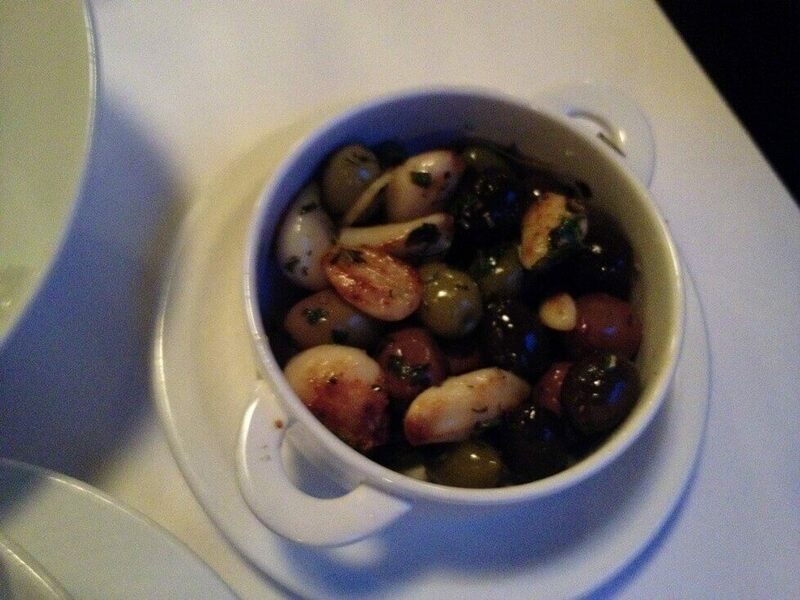 Lastly, you can’t go wrong with olives. Again, leave it to Brasserie Ten Ten to put a creative spin on a traditional item. The genius chefs served this snack warm, alongside roasted garlic, with rosemary and lemon. 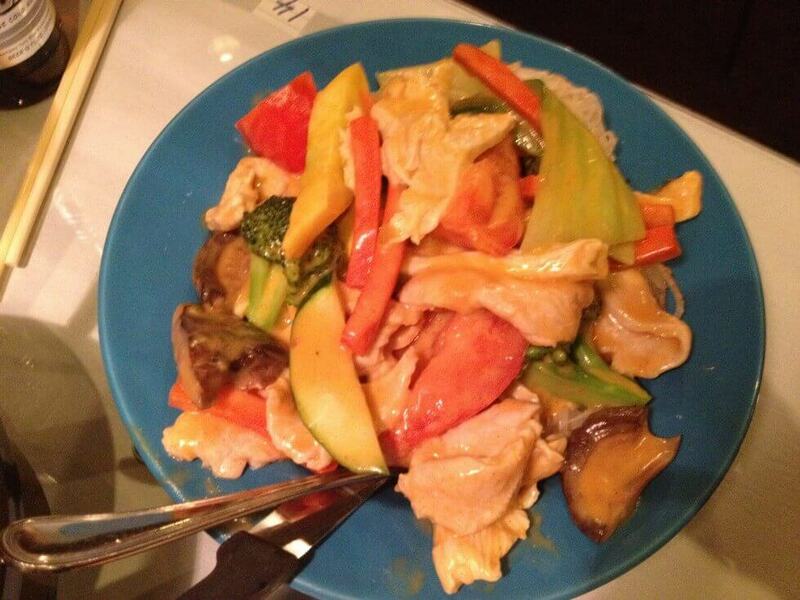 The small portion, jammed with a variety of flavors, was a great compliment to the rest of the meal. From the white marble bar to the well-crafted menu, entrez, s’il-vous-plait! After giving five stars to my new favorite upscale establishment, I have shamefully learned not to judge a restaurant by its appearance (or stereotype). You can’t judge unless you’ve tried it! 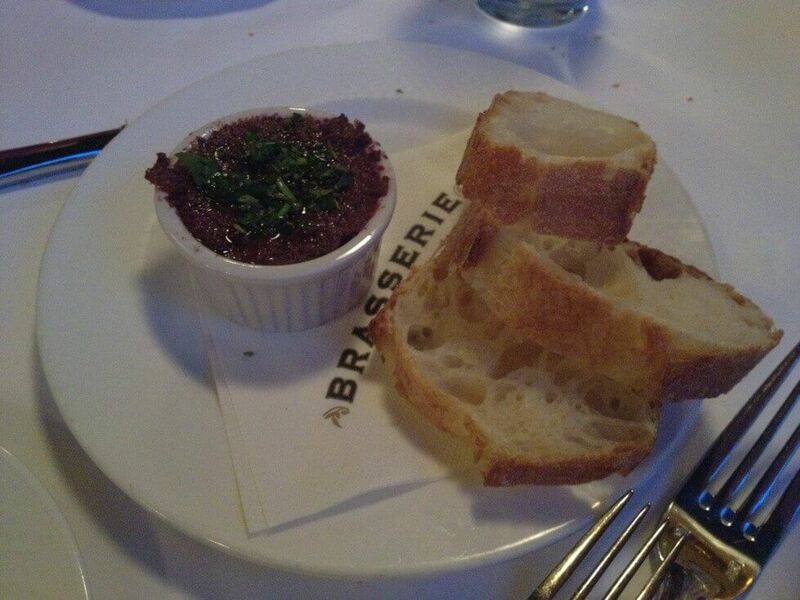 And for Brasserie, I’ve tried it, and my judgement is excellent. Undoubtedly the most prime real estate and outdoor seating area on the main drag of Pearl St., Boulder Cafe regularly draws the meandering freshman, chronically happy tourists, and dehydrated shoppers. But for the true foodie, this eatery is somewhat disappointing in the service, quality of ingredients, and creativity a la carte. The aspect of this cafe that does perhaps deserve the frequent attention is their bizarre, but wonderful, happy hour and specials. They advertise Bloodys and Mimosas for half price for breakfast and brunch every day, and half price appetizers 3-close daily. I’d assume most follow a similar thought process as me- why not just chop the price in half? Regardless, customers absolutely get the better end of this bargain, and can be seen enjoying the specials on the patio and in cozy indoor booths year round. 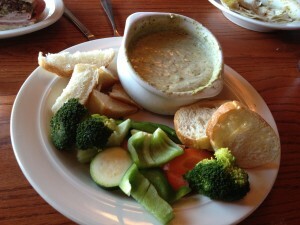 The Boulder Cafe definitely speaks to comfort food (where else in the area serves fondue?). So in an effort to fit in (or perhaps just an excuse to indulge…) we started our leisurely lunch with some Spinach Artichoke Dip, served alongside some fresh veggies and bread. Normally I’d say this is an easy dish to fluff up- serve the dip in a fancy dish, surround it by bread or raw vegetables, or even put the whole load on a bed of lettuce. However, the presentation delivered to our table was rather disappointing. Though it did come with the normal fixin’s, the plate was sparse. As for the grub, the dip was good, but nothing special. My lunch date is a complete Mexican food addict. She sees anything containing beans or with a Mexican twist, and she’s all over it. The White Chicken Chili, topped with monterey jack cheese and a tortilla, was calling her name. This warm and savory stew was definitely the best dish to land on our table that afternoon. However, that very well could have been thanks to the heaping layer of cheese and generous distribution of meat, not because of flavor or anything out of the ordinary. Nevertheless, it was pretty good. As for my wrap, I wish I could say that my photo didn’t do it justice. In fact, this is probably the best photo I captured after a small photo shoot of a sandwich. 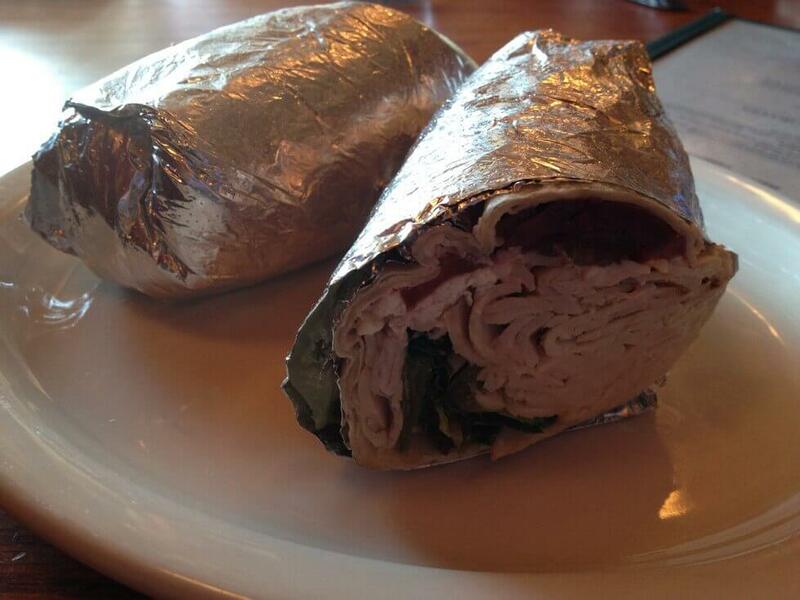 Problem #1: it was served in tip foil…Problem #2: no garnish, no sides, nada. Problem #3: it was just plain bland. I guess it would be fair to explain that the wrap was a Turkey and Feta Wrap with romaine, tomato, calamata olive and a balsamic drizzle. I know, the description caught my attention too. However when words look more appetizing than food, I’d call it a bust. 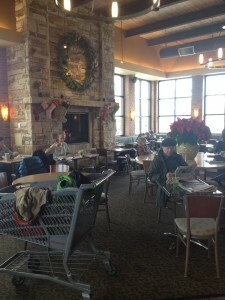 Boulder Cafe passes my (slightly harsh) test because of one thing: the location. On a sunny day, nothing beats a day of people camped out on their luxurious patio, avec mimosas, of course! But for the food, don’t come expecting to be wowed, or even satisfied. My quest to try every food stand at the Farmers’ Market prevails. Though I love Mexican food, for some reason the tamales stand is never where I head to first. Possibly it was the fear of the unknown (I was previously a tamale virgin), but I now feel like a fool for waiting this long. 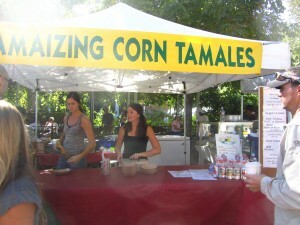 The tamale tent is one of those places with a loyal and loving pool of customers. 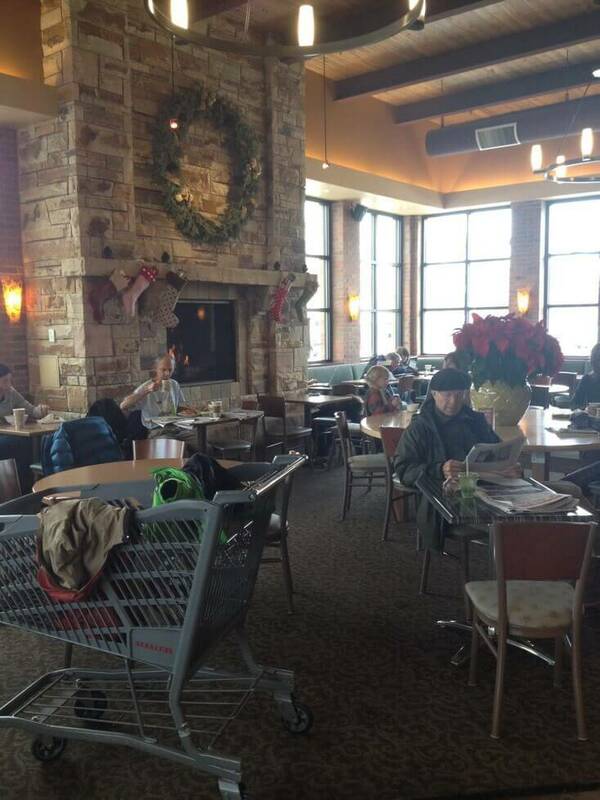 As I waited for my lunch to be prepared, I watched the other patrons interact with the staff. 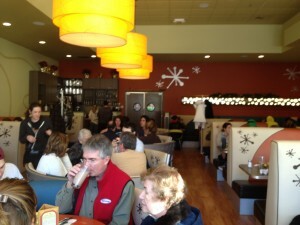 Each customer had memorized his or her order and the staff was ready to make it. Customer service: always a plus. Upon recommendation from my fellow foodies and the tent’s staff, I ordered the cheese tamale (I know, I was also surprised at this recommendation). However, I am a big believer that simple is better sometimes with food. When offered the option of green chili sauce (mild or hot) and black bean salsa for seventy-five cents, I said absolutely. 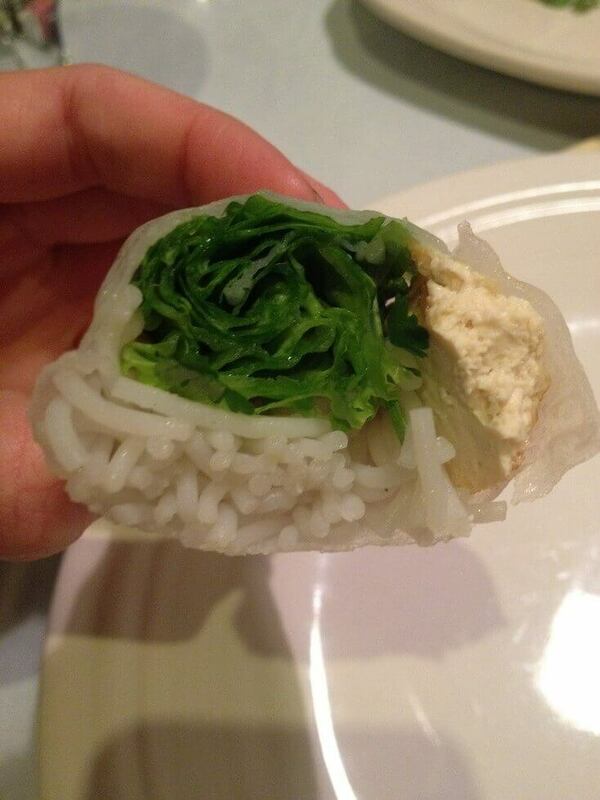 I had no idea what to expect upon digging into this eggroll-like cuisine. Was there a corn husk to peel? Would it be too spicy? Was it going to be weird? To my surprise, the tamale was filled with not only cheese, but also corn and tons of other flavors that I could not even name. It was smooth but textured and the mild green chili sauce added awesome extra flavor and is an absolute must! My only complaint was I wish I ordered two. Though it was filling, I didn’t want it to end. This might take the cake for number one spot on my Farmer’s Market food chain. 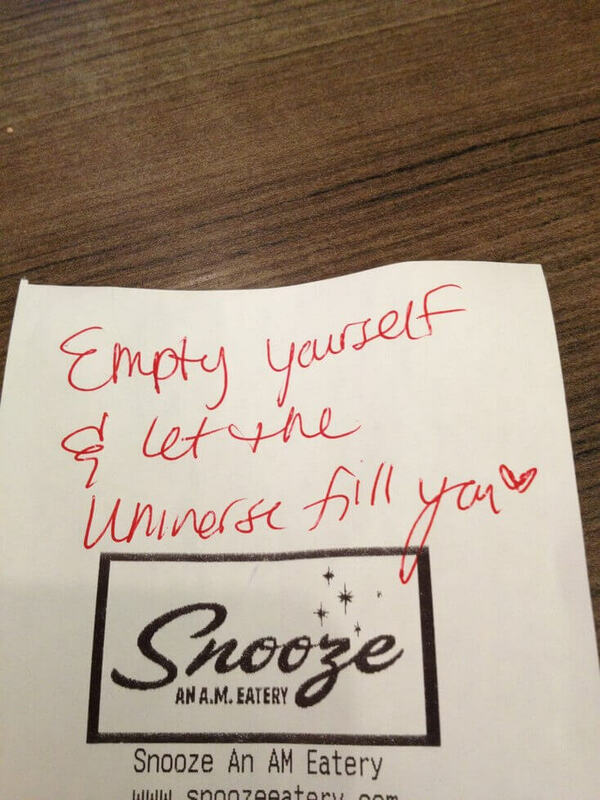 There is irony in the idea that a space called “Snooze” was beyond jam-packed on a Saturday morning before noon (Note: arrive early!). Of all the adjectives to describe a restaurant, “a snooze” would be the last one I would pick to describe this hip eatery on Pearl’s East End. Snooze’s trendy but retro vibe is unlike any other breakfast, lunch or dinner joint in the town. 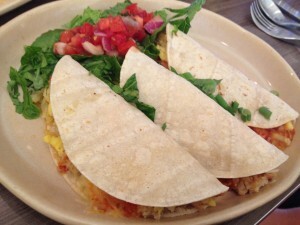 Much of the menu features traditional items such as Niman Ranch Cage Free eggs or pancakes, but throws in an unexpected kick like stuffing eggs into tacos or topping the pancakes with frosting. 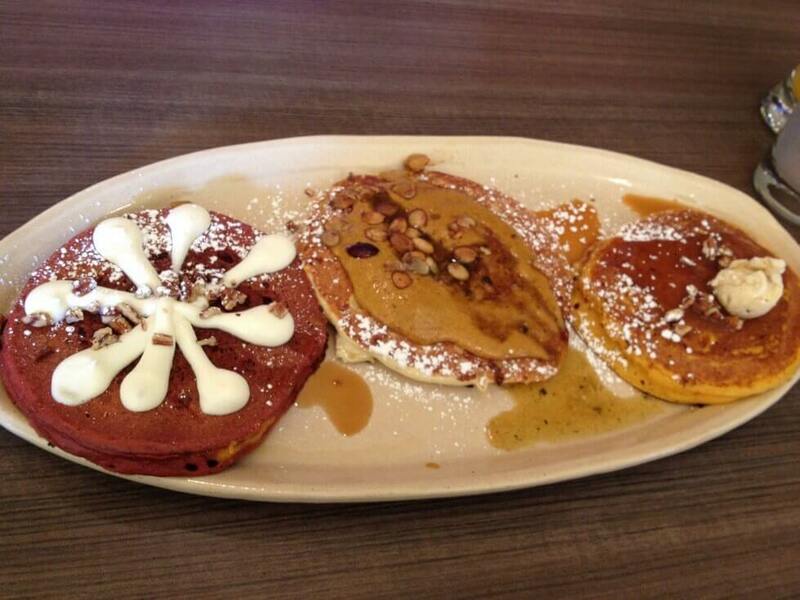 And when you see the pancake menu, it is a guarantee that you won’t be able to resist. Allow me to introduce you to the Pancake Flight, Snooze’s brilliant option to allow salivating diners to sample a variety of creative pancakes. My friends and I decided to share a flight as an appetizer (yes, we ordered an appetizer at breakfast) because we simply couldn’t resist. We crafted our flight with a red velvet (red velvet buttermilk batter topped with espresso infused maple syrup, a touch of cream cheese frosting and chopped pecans), a pumpkin pancake of the day (pumpkin batter topped with pumpkin maple cream, drizzles caramel and toasted pumpkin seeds), and a sweet potato (their signature sweet potato buttermilk pancakes topped with homemade caramel, pecans and ginger butter). Each one was equally as succulent and rich, and the concept was truly unique. Now on to the real stuff. With every single item on the menu jumping out at me, my impeccable waitress made up my mind for me: the Sandwich I Am, an Udi’s soft pretzel roll filled with scrambled eggs, cheddar cheese and a sausage/chicken sausage patty, served with a side of smoked cheddar hollandaise & house hash browns. Forget the typically flavorless breakfast sandwiches stuffed between a dry english muffin. This one packed extreme flavor from the smokiness of the fluffy roll and the spices loaded into the chicken sausage patty. To make it even better, I chose to add portabellas from the extensive list of menu add-ons. To me, this dish wad just about perfect. 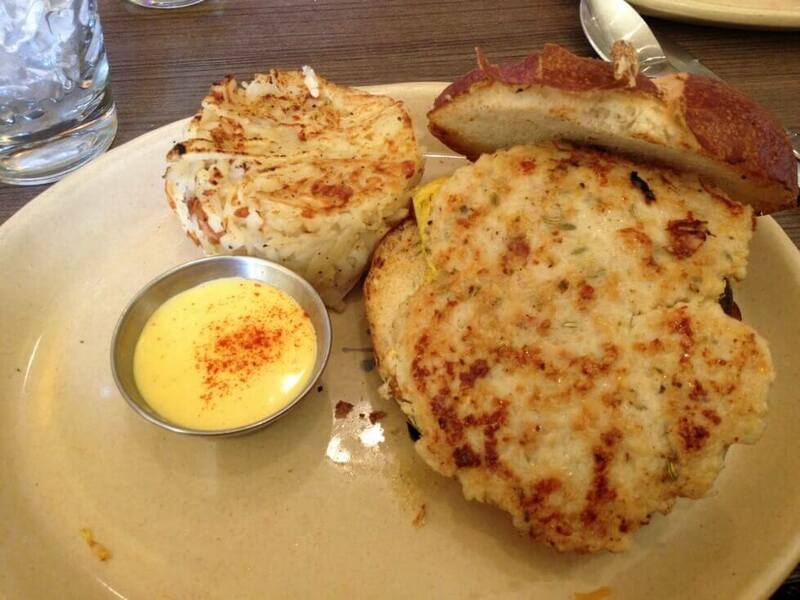 Along with the crazy pancakes, Snooze also specializes in benedicts. Though this dish never seems to appeal to me, I was able to get up close and personal with my friend’s open-faced sandwich. Lindsey opted for the Ham Benedict III, their classic benedict starting with an English muffin, then topped with shaved hickory smoked ham, perfectly poached Niman Ranch Cage Free Eggs and smoked cheddar hollandaise. 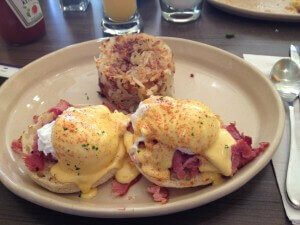 If you’re a benedict person, I’d bet it is hard to go wrong with any of their concoctions. She devoured hers in minutes. And finally, the last creation that we got to sample: the breakfast tacos. Natalie chose to have hers in corn tortillas, stuffed with scrambled eggs, shredded hash browns, jack cheese, and ranchero sauce and served with a side of arugula salad. 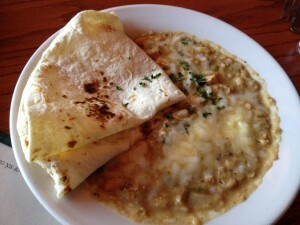 Imagine untraditional Mexican meets classic breakfast. Perhaps it was because she selected corn as opposed to flour tortillas, but this dish was not something I would shout from the treetops about. Despite my disappointment in the flavors and consistency, Snooze still has my vote on creativity and quality. 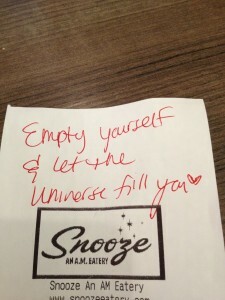 I visited Snooze nearly six weeks ago and I am still dreaming about the mouth-watering pancakes, satisfying flavor-blasted breakfast sandwich, flawless service and upbeat yet laid-back vibe (music: check plus). As soon as I was convinced that this place belonged far from Boulder, our check arrived. 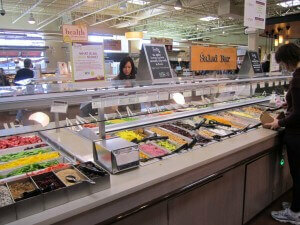 My quest to sample every item in the store continues at my favorite healthy hot spot, Whole Foods. I have become one of those suckers for organic, believing that just because it is organic, it must be good for you. 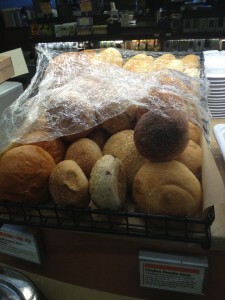 At a place like Whole Foods where nearly everything is organic, that belief does not bode well for my spring break diet. On this excursion, I decided to go for the salad bar. During my previous ventures, I cruised by the salad bar yet decided to be a bit more adventurous by sampling their other specialty counters. 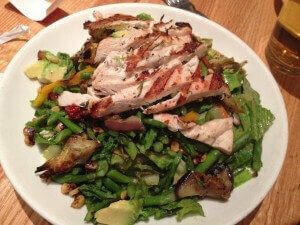 But this time, after examining each colorful vegetable, salad and grain, I just couldn’t resist. While making my way down the bar, scooping a little of everything into my bowl, I experienced a classic case of my mind becoming larger than my stomach. I started with the basics, some lettuce, tomatoes, beets, corn, the usual. But as I approached the more exciting options, like chicken caesar pasta salad, parmesan noodles, edamame succotash, roasted vegetables, and plenty more that are buried in the mess, my salad quickly became quite heavy (and pricey). Clearly, I was more excited about the mixes of proteins and carbs and less tempted by the veggies. 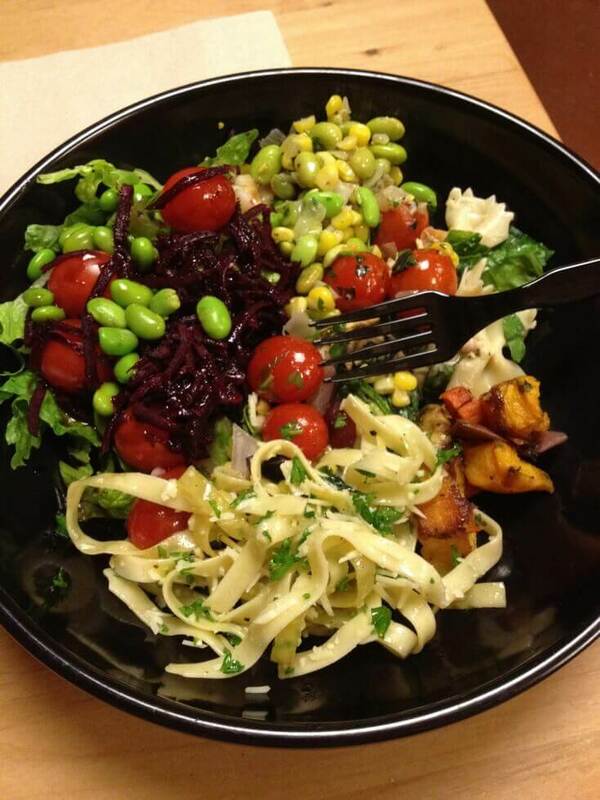 I love that Whole Foods’ unconventional and tremendously fresh salad bar allows diners to combine greens with Indian specialties, pasta salad, or roasted turkey. The salad bar is truly the cure for the indecisive diner. I am nearly there in completing my 360 degree tour of Whole Foods. As much as the salad bar pleased my taste buds, there is much unconquered territory to be discovered! How many times have you cruised by Chez Thuy, casually glanced at it, thought about it for a minute, and then let you mind wander elsewhere, assuming that it couldn’t be good? Well Chez Thuy might be the ultimate sleeper restaurant of Boulder, unexpectedly turning out awesome and creative dishes for every palate. Upon opening up the menu, the bound booklet appears more like a textbook, rather than a menu. With pages and pages of options (think Cheesecake Factory), from traditional pho soup, to countless vegetarian options, to standard noodles and stir fries, there’s a problem if nothing on the menu appeals to you.But for my crew, we had the opposite problem: everything appealed to us. The solution- split it all. 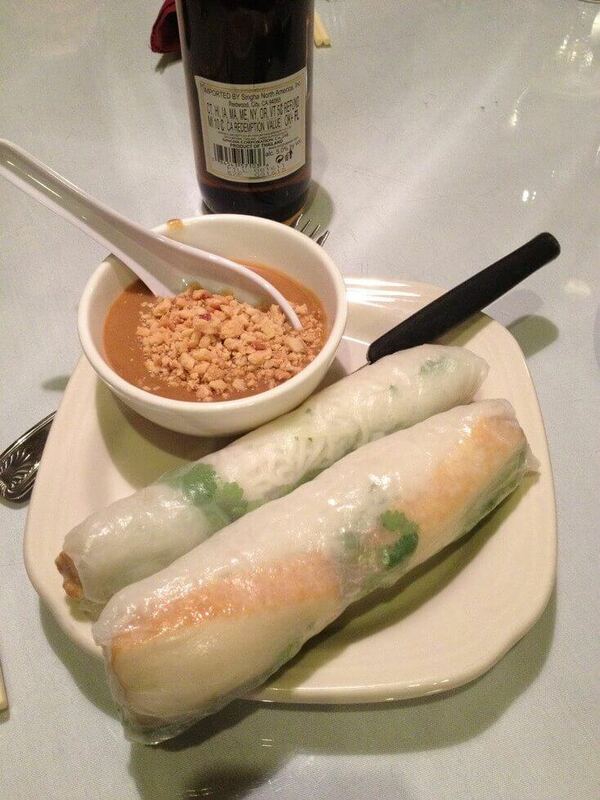 First up, we started with the Fresh Spring Rolls, one of my all time favorites at Thai or Vietnamese restaurants. Chez Thuy did it right, stuffing rice noodles, lettuce, cilantro and shrimp, roasted pork, or tofu (check) inside rice paper, served with peanut sauce. I have been disappointed by similar dishes so many times with poor quality ingredients or hard and chewy rice paper wrapper. These ones were awesome, made even more awesome by the homemade peanut dipping (or pouring) sauce with plenty of fresh crushed peanuts. The sauce was so good, that my friends were eating it with a spoon. Our first part of the bargain was Kung Pao Tofu, a spicy dish with peanuts, hot peppers, celery, water chestnuts and bamboo shoots, stir fried in a spicy sauce. This dish was so far from the standard greasy and tasteless Chinese dish that I was expecting, I was possibly even taken aback by the amount of true flavor and authentic spices. 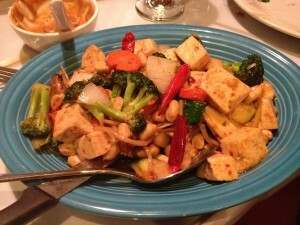 The tofu was moist, veggies fresh, and all around it was a great dish. After drooling over the noodle page for far too long, my buddy and I settled on the Pan-Seared Noodles with chicken and vegetables, and we opted for the rice noodles with a peppery sweet sauce (spicy). This dish was a really cool interpretation (or maybe it actually was the traditional way) on a typical noodle dish because instead of stir frying everything together, the chefs at Chez Thuy pan-seared a huge noodle pancake, cut it into four large pieces, and layered the chicken and veggie stir-fry on top. 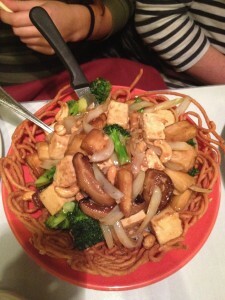 The noodles had a very interesting crunch and added surprisingly terrific texture to the pile of deliciousness. At first, we thought we had been served the wrong dish because the sauce looked more like a curry rather than a peppery sweet sauce. But after one bite, we were delighted to learn that the sauce was in fact a combination. I am not personally a huge curry fan, but this sauce was so different and simply delicious. And last, but not least, the Tofu Basket, a dish so interesting sounding we couldn’t resist. When was the last time you saw the word “basket” anywhere on an Asian menu? Or any menu, for that matter? We hadn’t seen it before either. Basically the basket looked like a woven string basket, that was actually made of fried egg-noodles, which proved to be a delicious snack. In the basket was stir fried rice noodles, tofu, eggplant, squash, mushrooms, broccoli, cashews and chili. The taste was rather similar to other Asian stir fries I was used to without being greasy and bland, but the concept was unique and memorable (and just as good the next day!). I can no longer complain that Boulder has a void of innovative Asian restaurants. Though the prices and service are nothing to brag about, the food absolutely is. The high prices barely matter considering each dish is enough for at least two meals in leftovers. From the timid or non-adventerous to the foodie go-getter, Chez Thuy’s massive menu and unique specialties will have you everyone running back for more. When neighborhood favorite Whole Foods went out on this busy corner, perfectly situated between downtown and the Hill, I thought my depression might last forever. But alas, Alfalfa’s swooped in to save the day! As an almost identical substitute, boasting similar prepared foods, grocery, etc., Alfalfa’s demonstrates a similar replacement to beloved Whole Foods, just a mildly lesser selection. On a cold day, look no further than Alfalfa’s cozy living room, but be sure to snag the table in front of the fire. Contrasted with several other of Boulder’s most cozy study/snack environments, Alfalfa’s was nearly empty and without a student in sight. Nowadays, that seems almost impossible. 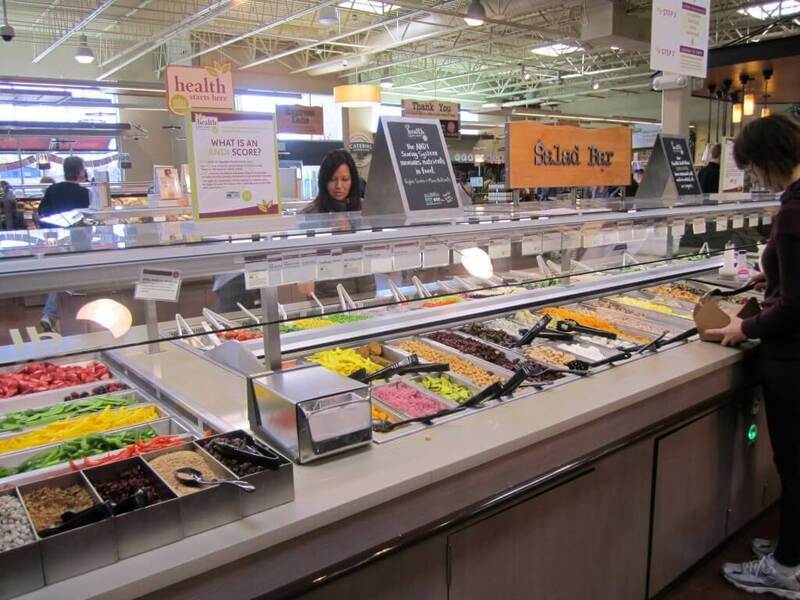 Similar to Whole Foods, Alfalfa’s provides a great selection of meal options, including soups, salad bar, creative Asian/sushi counter, pizzas, coffee bar, gelato, bakery and more. But on this snowy day, I headed right for the soups, and ladled myself a heaping bowl of bean chili with a soft roll. After requesting a paper cup from the coffee counter, I helped myself to samples of all the different soups before making my decision. They advertise customer service, right? That day, the soup counter included options such as chicken tortilla, chicken noodle, butternut squash, kale/quinoa/butternut squash, turkey chili, and more. The bean and corn chili that I selected really was more like a salad than a soup, which on a cold day, was the perfect thing to warm up. The flavor balance was great while still maintaining a fresh and healthy feel. Better yet, my rosemary fluffy roll was perfect for dunking. Though the quality of food at Alfalfa’s is undoubtedly superior, they draw loyal customers because of variety, a welcoming environment, and guaranteed satisfaction with their products. Diners could visit the market daily and never try the same thing twice, perhaps that is how they keep the crowds steady. But if for nothing more, be sure to check out Alfalfa’s delicious soups, best enjoyed next to the gas fire.